Dakar 2009: Van Merksteijn and Rene Kuipers new driver for X-Raid BMW. The Dutch Peter van Merksteijn, team owner of Van Merksteijn Motorsport who won this year the 24 hours of Le Mans with the Porsche RS Spyder, will take part in the Dakar 2009 as part of the official BMW X-Raid team from Germany. Peter will drive an totally new built BMW X3CC in the rally which will start 3rd of January in Buenos Aires where it will also finish after almost 10,000km through Argentina and Chili on 17th of January. Peter van Merksteijn will join Nasser Al-Attiyah and Guerlain Chicherit as the third driver of an official BMW factory car in the biggest of all marathonrallies, which will take place in South America for the first time in its history. 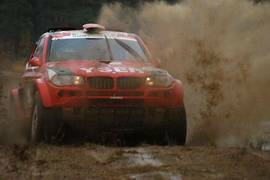 He will drive a BMW X3CC build to the latest specifications with for instance improved braking system and a better weight distribution compared to the model 2008 which was so successfully used during this year's events. The late entry of Peter van Merksteijn was arranged with the help of Gerard Seesing of Reiger Suspension after the successful tests X-Raid held on the Van Merksteijn Motorsport private test area at Furstenau, Germany. Eddy Chevaillier will be the navigator of Peter van Merksteijn in the BMW X3CC. Eddy has participated twice in the Dakar Rally when it was held in the African desert where he won once as part of the MAN team of Hans Stacey. 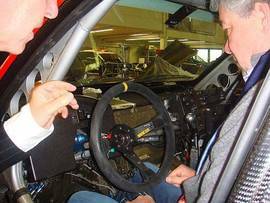 Normally the Belgian navigator is co-pilot of the son of Peter, Peter van Merksteijn jr., where they drive in the WRC in a Ford Focus WRC 07. Also the Dutch Rene Kuipers will start in a X-Raid BMW X3CC. The Dutch rally driver from Hengelo will have number 318 on the doors of his car. The last and final agreements regarding the participation of René Kuipers and Ipatec Racing in Dakar 2009 were made last weekend with team boss Sven Quandt during a visit to the near Frankfurt(Germany) where René had the chance to see the young BMW X3CC which he will be driving. Kuipers, who has also big experience in WRC-driving with Skoda and Subaru, will take the car of the Portuguese Miguel Barbosa, who can´t start at the Dakar 2009 after personal reasons. Kuipers will have Peter van Merksteijn as his team mate with which the BMW team will have a strong Dutch input. 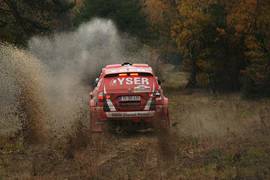 He will be supported during the rally by Gerard Grouve who will be present during the entire rally to support Peter van Merksteijn, emphasizing the joint effort of both rally teams. Before the start of the Dakar 2009 in Buenos Aires, X-Raid will be testing once more in the beginning of December at Furstenau. Only two cars of X-raid will be shipped these days in Le Havre, the other four of the now six participating cars will be flown to Argentina in December.